Leaves of Alpine Strawberry plant, Fragaria vesca, make a very mild tasting tea, which is effective as a treatment for dysentery, diarrhoea and difficulties of the urinary tract. Useful for convalescing children. The sweet, tangy red or yellow berries are a bonus. 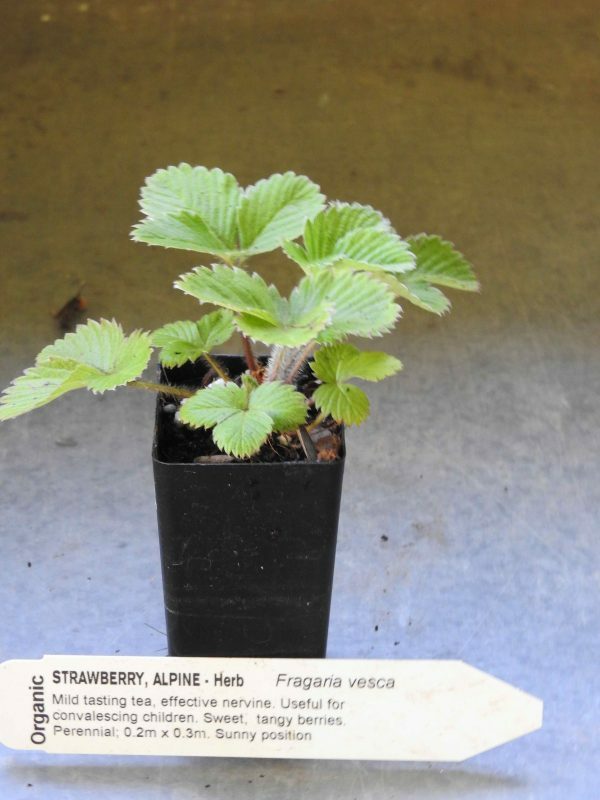 Alpine Strawberry plant is a native of temperate regions of the Northern Hemisphere and is adaptable to any well drained, good garden soils in a protected, sunny position. Drought and frost tender. A perennial plant, growing to 0.2m x 0.3m. Be the first to review “Strawberry, Alpine plant” Click here to cancel reply.